Shriya Hukkeri and Samarth Mendke have been named as University Innovation fellows by Stanford University, USA. 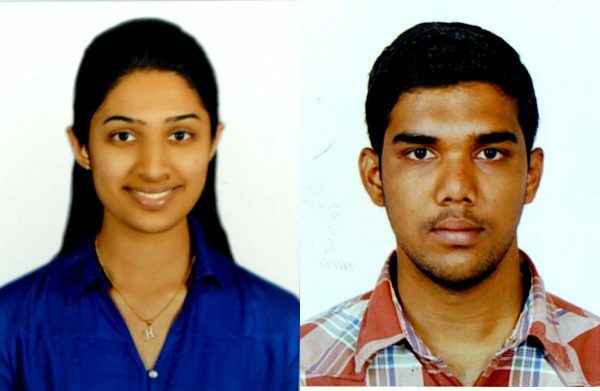 Out of 169 students selected from 49 higher education universities across 4 countries, it is a matter of pride and joy for KLS Gogte Institute of Technology that two of its final year students, Shriya Hukkeri of Computer Science Engineering and Samarth Mendke from Mechanical Engineering have been named as University Innovation fellows by Stanford University, USA. The program is run by Stanford University’s Hasso Plattner Institute of Design (d.school). The University Innovation Fellows program empowers students to become agents of change at their schools. Following acceptance into the program, schools fund the students to go through six weeks of online training and travel to the annual University Innovation Fellows Silicon Valley Meetup. Throughout the year, they take part in events and conferences and have opportunities to learn from one another, Stanford mentors, and leaders in academia and industry. In March 2017, students will have the opportunity to participate in the Silicon Valley Meetup at Stanford USA. During this gathering, Fellows will take part in immersive experiences at the d.school, Google and other Silicon Valley organizations. They will participate in experiential workshops and exercises focused on topics including movement building, innovation spaces, design of learning experiences, and new models for change in higher education. Waoh thats a really great achievement!!!!!!!!!!! Congratulations to both of u. Samarth uv always been excellnt since school days!!!!!! Congratulations.. Have a Great future ahead..